Some of you may not even know what Red vs. Blue is, who Rooster Teeth is, and what the heck this book even is. I get asked about all 3 of those, particularly from friends, family and co-workers. In certain (and quite large) corners of the internet, these questions don’t even need to be asked. What Is Red vs. Blue? Red vs. Blue is the longest running show on the Internet. It began in 2003, before the days of YouTube, and uses the videogame Halo to tell the majority of its story. At the time, this was pretty revolutionary, and lead to the popularization of a filmmaking style known as machinima, which in many ways has transformed into the “Let’s Play” and Twitch culture we see in the gaming community today. 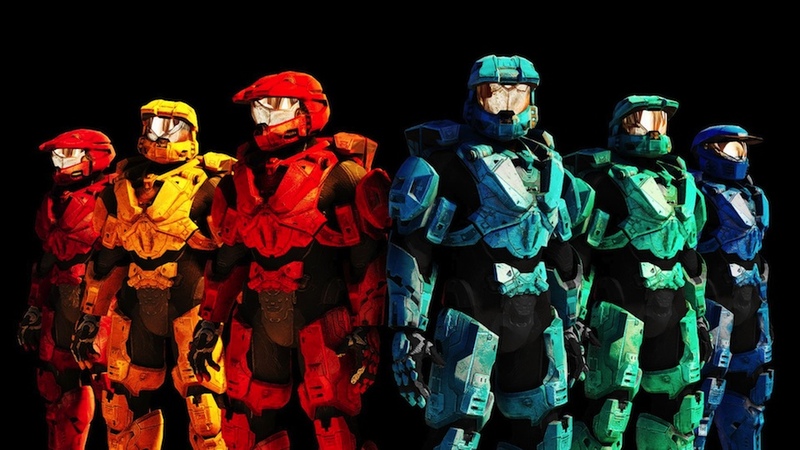 Over the years, Red vs. Blue has grown. In audience size, for one – its weekly viewership rivals popular cable TV shows (and it is soon going to air as a TV series on the El Rey network) – but also in the way the story is told. Later seasons of the show have featured huge sequences that are entirely and impressively animated, giving the show a bigger scope and lots of flexibility. It’s pretty endlessly funny, but also has some great drama and wonderful action. By the way, did you know you can watch it all on Netflix? In a lot of ways, Red vs. Blue is responsible for who I am as a writer. 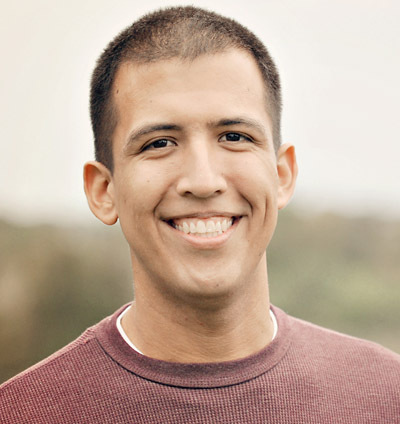 It inspired me to create the projects that ultimately kickstarted my career, and gave me an opportunity to do things I never dreamed I’d do. There’s more about that in the book, though. Rooster Teeth is the production company started by Burnie Burns (co-author of the book and future contestant on the Amazing Race, oddly enough), Matt Hullum, Gus Sorola, Geoff Ramsey and Joel Heyman. A few years ago, it was easiest to refer to Rooster Teeth as “the Red vs. Blue guys”, because that was what they were known for, but now it’s just a small fraction of their massive audience. What started as 5 friends making goofy Internet videos is now a production company with nearly 200 employees. They currently have more than 16 million total subscribers and 4 billion views on YouTube across all content channels. More than 45,000 people attend RTX, a fan convention just for their content, from around the world every year (and they just added one in Australia, too). Their content ranges from anime – the first anime ever imported into Japan from the US – to game shows, live events, videogame walkthroughs, gaming news, an enormously popular podcast, a legit cartoon, and viral videos. And that’s not even mentioning their movie, Lazer Team, which is going to be in theaters in January, and was at one point the largest crowdfunded project on Indiegogo. I can say with confidence that Rooster Teeth will probably be a household name in the next few years. I can almost guarantee you will see more of their content in more theaters and on more TV networks as their audience and reach continues to grow. What Is The Red vs. Blue Book? The Red vs. Blue book is the ultimate coffee table book and companion piece for a Red vs. Blue fan. That’s not me giving marketing speak, that’s me speaking as probably one of the biggest Red vs. Blue fans on the planet. The book is virtually an encyclopedia dedicated to this enormous show, including character backgrounds, locations and a number of painstakingly researched statistics. But it’s a bit more than that. As a fan, I knew that we’d need some new content you could only find in the book. We’ve got some new background information on the show’s main characters that you’d never know without picking up the book. There’s also quite a bit of fiction, with side stories galore that touch on pivotal points between seasons and far in the show’s distant past. I was given a ton of freedom to create what I thought would be the most interesting additions, and really had a blast doing it. There is one sequence of the book that I particularly enjoyed creating, which is the scene where two of the show’s main characters (and the primary romance of Red vs. Blue) meet for the first time. You’ll even find behind-the-scenes sections that talk about the history of how the show was made, and how it turned into the huge production that it is today, with several writers and creators pitching in (including me). My hope is that quite a bit of it is hilarious, and not stupid (but stupid and hilarious is fine). 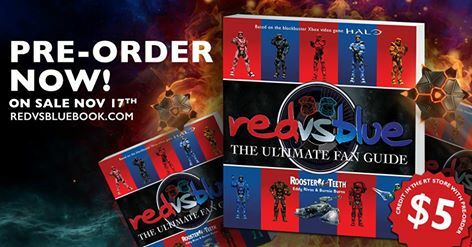 The coolest part of all of this is that Red vs. Blue: The Ultimate Fan Guide is going to be in stores everywhere. And I mean everywhere. You should be able to walk into a Barnes & Noble, Hudson, Wal-Mart and Target, and pick it right off the shelf. I plan on taking a few selfies of them in the wild, because I’m vain and who knows if I’ll ever get to do that with another book. So, that’s about it for a run down for people who don’t know anything about this book but have tried to support me with encouraging words and even pre-orders (that last one is super important). I hope I’ve shined a bit of light on the book for you, and that you’re not totally lost when you try to read the silly things I’ve written in it.